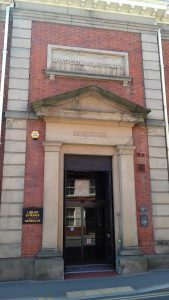 The Masonic influences on education run deep in certain towns and cities, such as Warrington in England for example, where, during the nineteenth century, certain Freemasons were involved in founding the local Museum and Library, the School of Art, the Technical School and various learned societies. 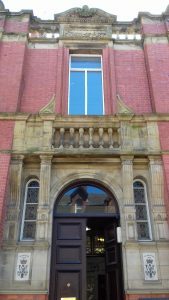 Indeed, the nineteenth century witnessed a thriving philanthropic attitude by certain Freemasons that led to civic improvements all over the town, such as the building of the Parr Hall by Joseph Charlton Parr, a local Freemason and the owner of the local bank. 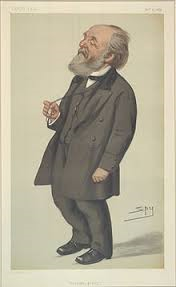 However it was in the pursuit of education for the working classes that a number of Freemasons contributed the most, with support for the Mechanics Institute and science classes, as well as the aforementioned educational centres. Joseph Charlton Parr resided at Grappenhall Heys and was a neighbour of the Greenall family, Parr serving as Mayor of Warrington in 1901-3. Parr, along with Freemasons such as Sir Gilbert Greenall and Peter Rylands, constantly supported local education in a philanthropic drive that can be mirrored with the support given to education in Liverpool by the Unitarian community which included Christopher Rawdon, the Holt and the Rathbone families. Warrington Brewer and prominent Freemason Sir Gilbert Greenall was instrumental in his involvement, donating money and taking part in the laying of the foundation stone of the Museum and Library in 1855, and Peter Rylands, a Warrington industrialist and member of the same lodge as Parr and Greenall, was also involved in the procession to the laying of the foundation stone and became actively supportive of various learned societies and local schools. Commemorative stone found in Queens Park, Warrington, featuring Gilbert Greenall, dated 1857. 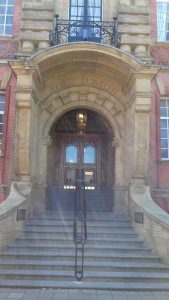 Today, the Warrington area known as the ‘Cultural Quarter’ is more famous for bars, restaurants and the bands that play at the Parr Hall, but it still has the Museum and Library, and the School of Art building is still used for adult learning education. Part of the Technical School building is a bar.